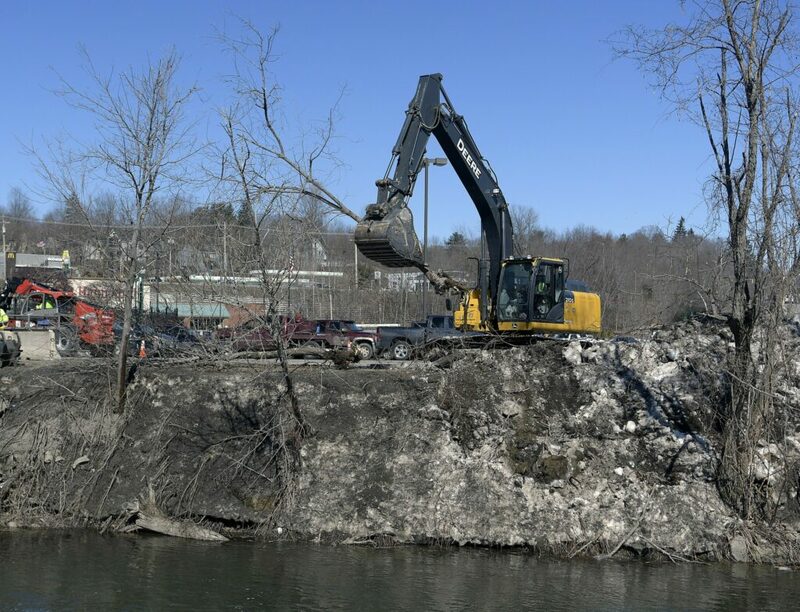 After years of planning on the state Department of Transportation project, work will start this spring with the addition of a multi-use trail bridge that crosses Cobbosseecontee Stream near Maine Avenue. GARDINER — A worker in a hard hat and safety vest stopped in Harvey’s Hardware on Maine Avenue on Monday afternoon. He was part of the crew that started clearing trees and some soil from the north bank of Cobbosseecontee Stream across from the Arcade parking lot as work got underway Monday to replace the two bridges that cross the stream and add a pedestrian bridge near the Maine Avenue bridge. The Department of Transportation awarded the project to Reed & Reed Inc., for $12.6 million in early February. In addition to the bridge replacements, the project also includes improvements to two intersections on Water Street, where Bridge Street becomes Brunswick Avenue and where Maine Avenue becomes Church Street. The Bridge Street bridge was built in 1917, and the Maine Avenue bridge was built in 1933. 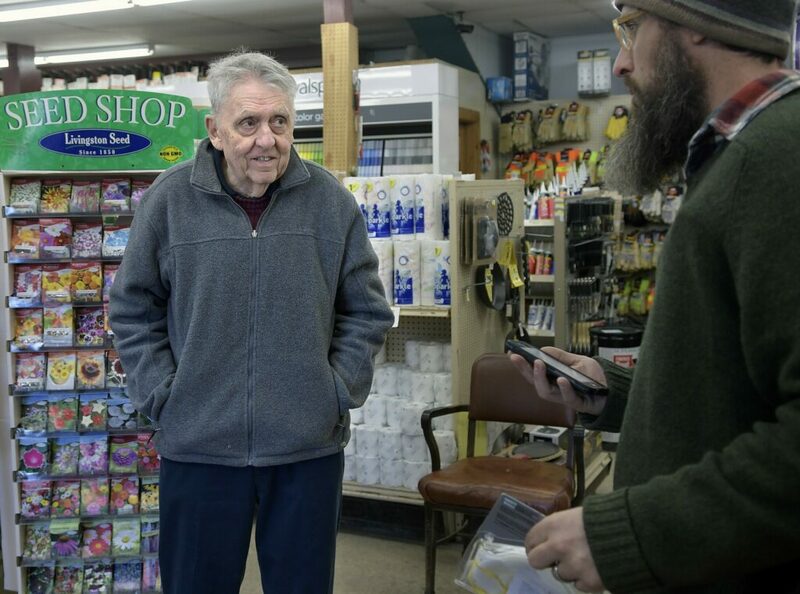 With his front row seat to action, hardware store owner Bill Harvey said the work, which will result in lane closures and detours through the course of the project, will probably hurt the 95-year-old business a little. But with a solid customer base and strong commercial accounts, he said the business will fare well. Before she left her post by the cash register to help the worker find a file, Cyrena Pease said, as far as the regular customers are concerned, the project might impose some inconveniences. For months, state transportation officials have been meeting with Gardiner’s Bridge Advisory Committee and with Gardiner area residents to work out the logistics of routing traffic around the work sites and update Gardiner area residents on the evolution of the work plans. The Department of Transportation has set up an informational website for the project, maine.gov/mdot/projects/gardiner/downtown/, which contains updates and schedules. Nina Fisher, deputy commissioner for the Department of Transportation, said the department is maintaining a timeline, which is updated regularly. During the course of the project, the Department of Transportation has committed to keeping area residents and commuters who travel through the area updated about possible road closures and detours through signs, emails and social media posts. According to that schedule, short-term closures are expected in the Arcade parking lot near Maine Avenue, as well as intermittent closures along Maine Avenue as crews prepare to start work on the multi-use trail bridge that will cross the stream near Maine Avenue. Part of that work will be demolishing the remaining concrete foundations adjacent to the stream on the Gardiner Feed property. 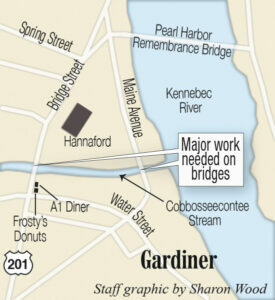 Gardiner Feed sits across Maine Avenue from Harvey’s with little but a disused railroad track separating Wayne Cross’s building from the Kennebec River. 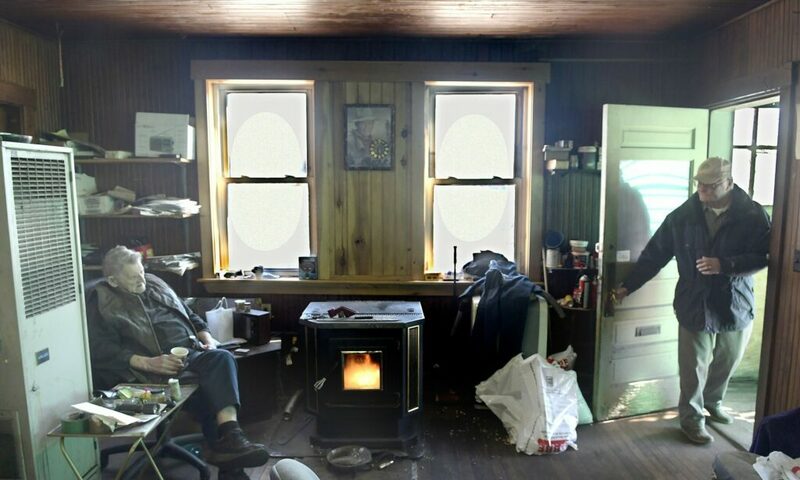 Sitting by a pellet stove near the windows overlooking the river Monday, Cross said the project has already had an impact on him and his business. He’s lost a portion of this property to the project and torn down the northern third of his building over the foundation targeted for removal. For more than five decades, Gardiner Feed has stood on the site, selling feed to area farmers. But many of them have retired, and their operations have closed. Now, Cross sells chainsaws, but he doesn’t think the construction and detours will harm his business. “Look me up on that Google thing, and it says Gardiner Feed is permanently closed. It’s been that way for a year and a half,” he said. In fact, he’s not closed, although he shut down the feed side of the operation, two years ago, when he was told he’d have to leave his property. At 80, he said he’s too old to retire. As for the interruptions, Cross said he doesn’t expect to be bothered much. In 2020, the replacement of the Bridge Street bridge and the intersection improvements are expected as well as the final paving of the Maine Avenue bridge. Between now and then, Gardiner City Manager Christine Landes said regular progress meetings are expected. “We can tell them what we like and what we don’t,” Landes said. Some of the work has already started. The department acquired the Bridge Street building that housed Dennis’ Pizza in 2017 and demolished it in February 2018. The owners of the business opted to close it when relocation plans didn’t work out. Earlier this year, the department acquired the Chapman Bros. property at 2 Bridge St. from Dan Chapman with plans to knock down the building and use a portion of the parcel to create a turning lane from Bridge Street west onto Water Street to ease congestion at that intersection. Demolition is expected to start next month. Chapman’s has relocated its office to Water Street. The A1 Diner, which recently changed hands, will not move but is expected to close for kitchen renovations when construction makes the diner inaccessible.